If you are currently administering drug tests or thinking about using them in the near future, you may consider the instant drug testing option. It is important for you as an employer to understand both the pros and cons of this type of testing before determining if it is the right solution for your company. There are two different types of instant drug tests urine or saliva. While saliva testing may seem easier to administer, it is not the most accurate. It’s important to note that drugs only stay in a person’s saliva for 2-3 days, while drugs remain in a person’s urine for as many as 30 days. In fact, many laboratories will not even confirm the results of an oral salvia test because they are only to be used for forensic use only. When at all possible, urine drug testing should be done, because it results in more accurate results that can be cross-checked by an independent lab. 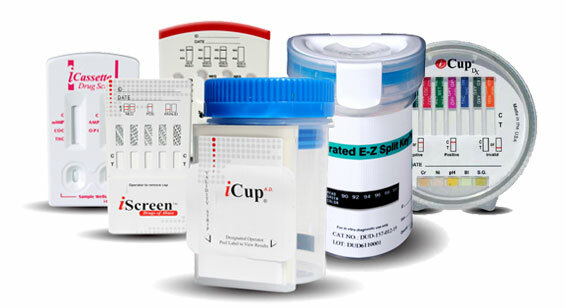 One of the best benefits of instant drug testing is that it can provide results within just minutes of collection. This allows your office to know right away if a potential candidate or current employee passes or fails the test. In fact, you often can let the person know the results of the test while they are still in the office with you. Another great benefit is the ability to administer the entire test right on-site. While this isn’t always an issue when it comes to testing prospective candidates because they don’t necessarily need to be on-site anyways, it can be a major benefit when it comes to testing current employees. Since the test can be completely administered on-site, neither the manager nor the employee in question has to leave the workplace in order to comply with the drug testing. This equates to a reduction in downtime for your team. Another major advantage of instant drug testing is that it costs substantially less to administer than standard drug testing done in a laboratory. While the advantages of instant drug testing seem great, it is equally important to evaluate the major disadvantages of using instant drug testing in the workplace. When testing is done in a laboratory, a professional healthcare worker is responsible for administering the drug test and reading its results. This removes all responsible off the employer and onto the lab center. However, when done in-house, the professional and legal responsibility for accurate drug testing rests solely on the employer. This can open the door for employee complaints as to biased drug screening. Unlike lab testing results, which provide specific levels of drugs in the system, instant drug testing only results in pass or fail results. You will not be provided with any specific test result data. Due to the quality of the instant drug testing and the environment where the testing takes place, a professional lab must reevaluate all non-negative results. This is done to ensure that the original test did not detect a false positive. Instant drug testing results are not admissible in the court of law. While this wouldn’t relate to potential candidates, it could come into play with current employees. In order to be admissible in court, the judge must be able to see the specific drug levels, which isn’t available with instant testing. In addition, the Department of Transportation also doesn’t accept instant drug testing results. A major obstacle many employers face is the lack of adequate restroom facilities to administer the drug testing properly. In addition, if a detailed protocol is not in place or followed closely when testing in-house, the results could be susceptible to donor alteration and deceptive results. When drug testing is done at the laboratory, employers can decide exactly what specific drugs to test. Unfortunately, this type of customization is not possible with instant testing, because these tests only check for a limited number of drug panel configurations. Many employers are finding that the stress and liability of handling in-house drug testing is too great, but they also don’t want to deal directly with an expensive drug-testing laboratory. Third-party administrators (TPA) have become an ideal alternative solution for many employers. TPAs are professional drug testing services that work directly with the employer to provide the exact types of services they require. They can handle the drug testing results from start to finish and obtain MRO (medical review officer) drug testing confirmation when necessary. If you looking for a consistent drug testing process that meets compliance, obtain accurate results and save money at the same time, the professional third-party administrators at Origin are here to help. Origin has the right experience, equipment, integrity and digital integration to administer a consistent drug testing process that provides the accurate result your company needs.